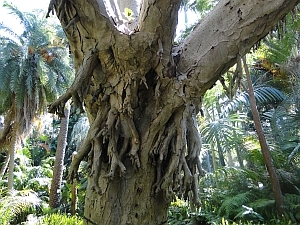 The Royal Botanic Garden Sydney was full of the most incredible plants and trees. 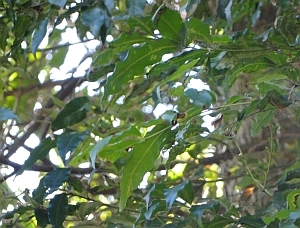 Join me on a speedy walkabout - Mother and friend are patiently waiting in a cafe! 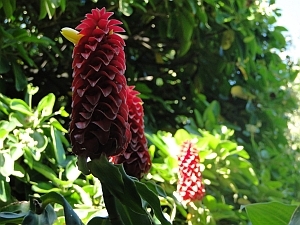 - and take in some of the wonders of the garden's collection. 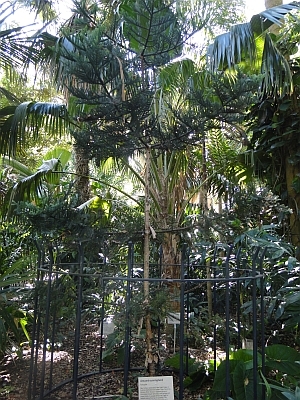 first stop at the royal botanic garden sydney - a wollemi! 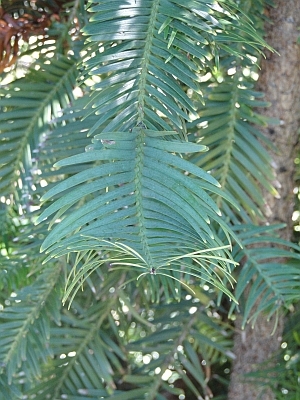 The first tree I bumped into was a Wollemia nobilis - the Wollemi pine. 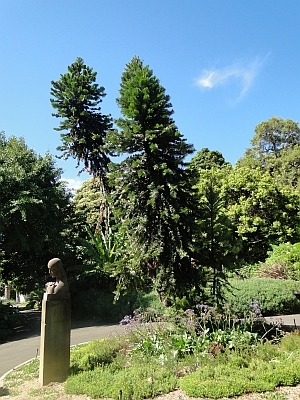 And this particular tree grows in the place of the famous Wishing Tree, a Norfolk Island pine, which had to be taken out in 1945 due to "old age and decay" as the plaque next to the Wollemi informed me. 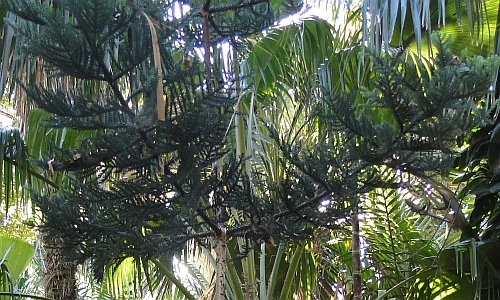 The Wollemi is not a true pine; it really belongs to one of the most exciting of tree families, for me, at least: the Araucariaceae, to which the monkey puzzle and the Norfolk Island pine also belong. 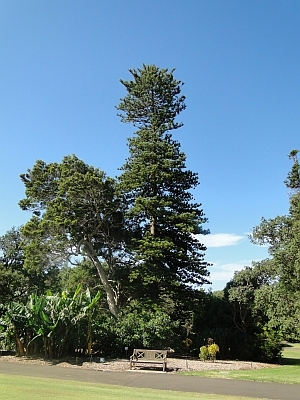 Another member of this family is Araucaria cunninghamii, the hoop pine. 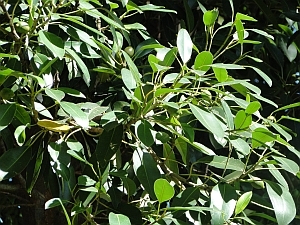 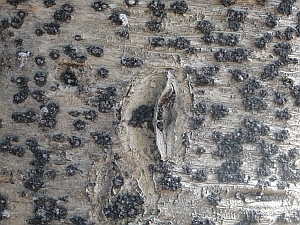 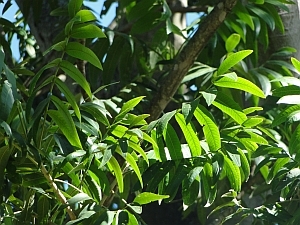 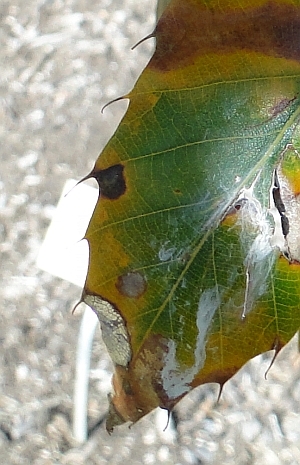 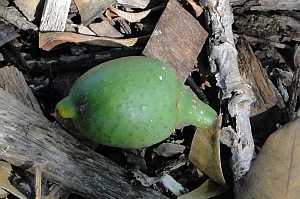 The specimen below is rather a baby tree and is hidden in plain sight. 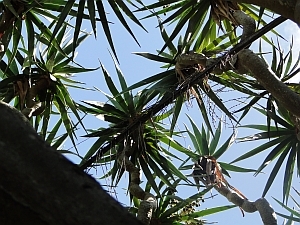 It's in front of the giant palm in the background, and has a very thin trunk at the moment with small branches and dark green leaves sticking out near the bottom of the trunk, in the middle, and at the top! 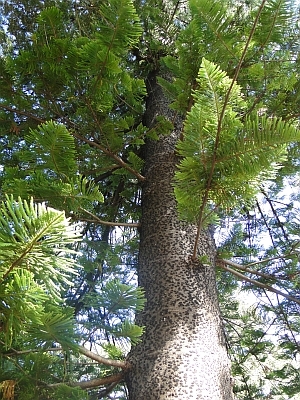 Native to New Guinea, Queensland and New South Wales, the hoop pine's label told me it's found in rainforests, rocky gorges and by stream banks, and the timber is used for cabinet making amongst other things, so a valuable wood. 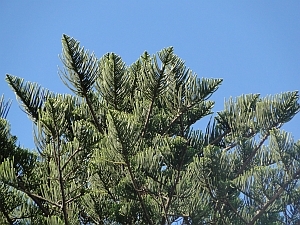 I've only seen one other hoop pine - in Melbourne; we'll meet a Norfolk Island pine at the end of the walk below. 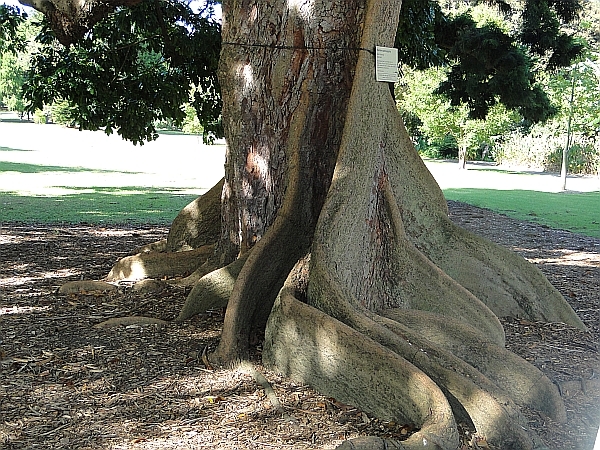 Yes - many of the trees I saw in Sydney Botanic garden were enormous - almost too big to photograph, apart from those with some decent space around them. 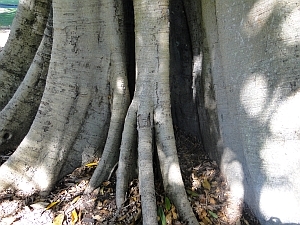 My next tree is tall and thin - and boy, did I love it! 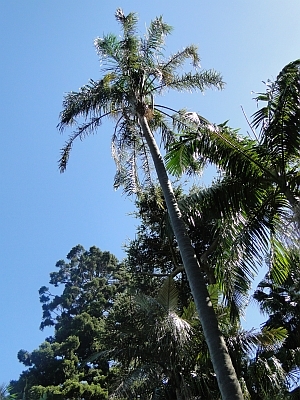 Here's Syagrus romanzoffiana - the Queen palm, or the cocos palm, and called pindo in Spanish! 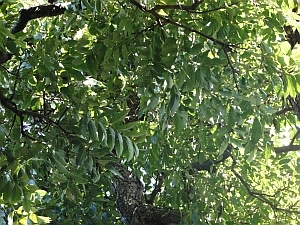 Now for something a little different: Toona ciliata, the red cedar. 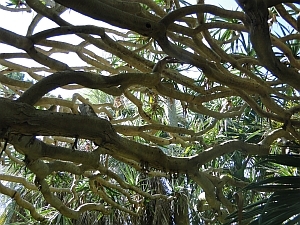 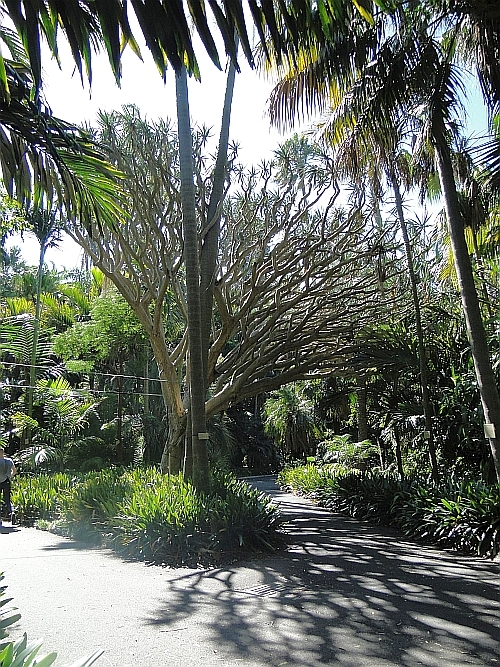 My trip to the Royal Botanic Garden Sydney gave me the opportunity to meet this interestingly named tree: Waterhousea floribunda, the weeping lilli pilli or weeping myrtle. 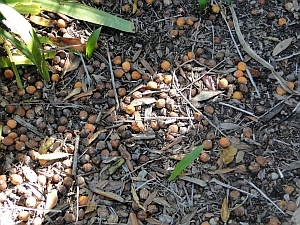 Glancing down a nearby path, my first thought was "What the heck is that over there?!" 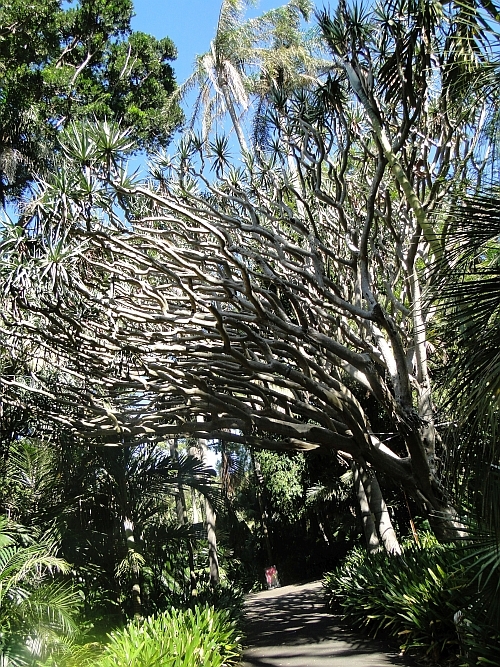 Another new experience - I could have spent all day just looking at the shape of Dracaena draco, the dragon's blood tree! 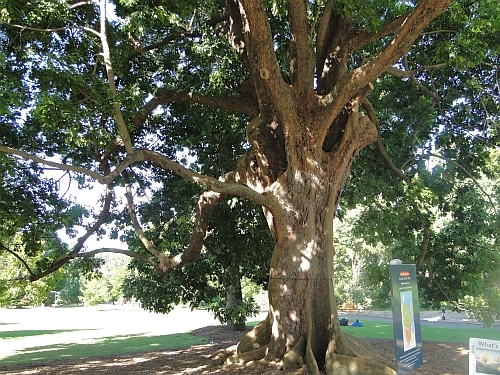 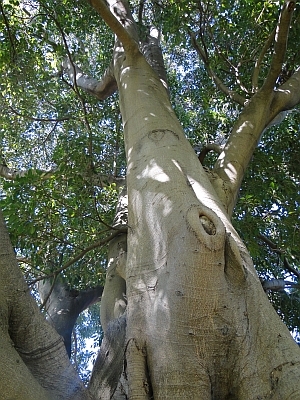 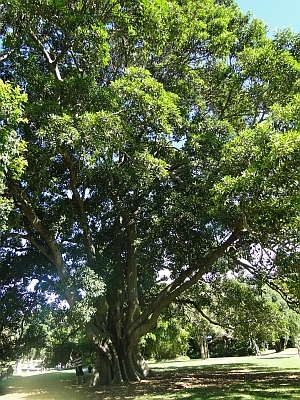 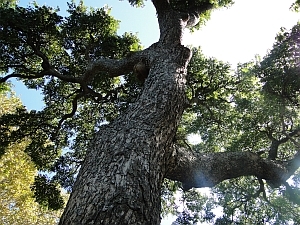 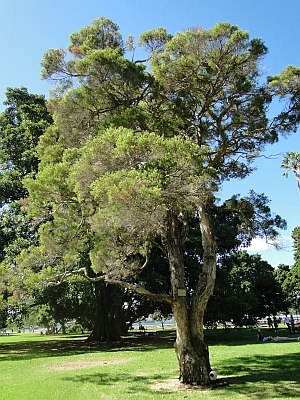 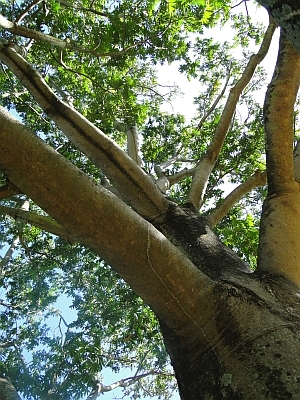 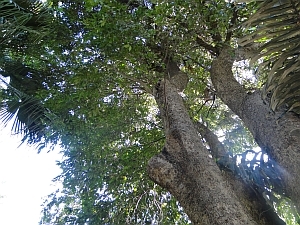 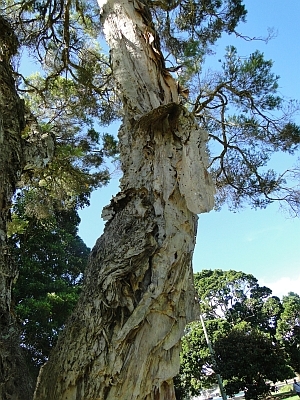 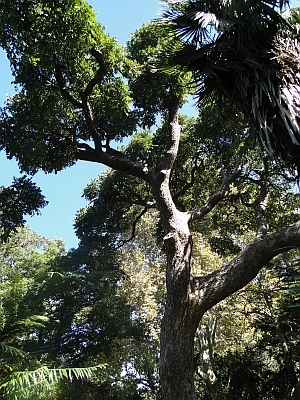 This tree was planted in the early 1860s and is believed to be the oldest such specimen in Australia. 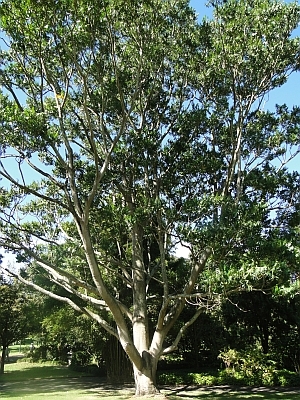 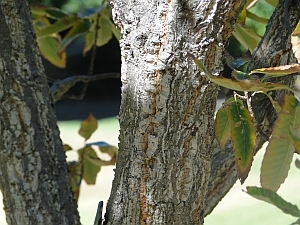 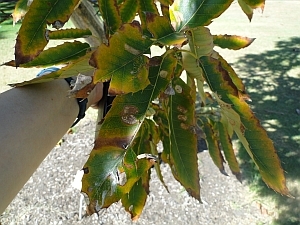 Here's a biggie: Flindersia schottiana, called cudgerie, bumpy ash - or southern silver ash!